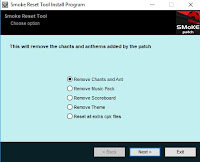 What is the reset tool? we create and add many options to our patch, but because everybody have his own taste in things we created this tool to remove some of the options. 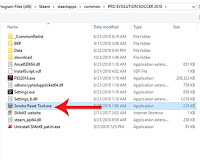 this tool works by simply installing an empty files to replace the files for a specific option, to restore this option you will have to reinstall the patch as this reset tool cannot recreate these files. What are the options you have? this is mostly for diagnostic purposes, you can remove any custom files you added via replacing the extra cpk files, if you face problems in the game you can reset the cpk you added to see where exactly is the problem. Hello. First of all thank you for your amazing work. I have a question about removing the theme. Applying this option seems to switch the game to the world cup theme. 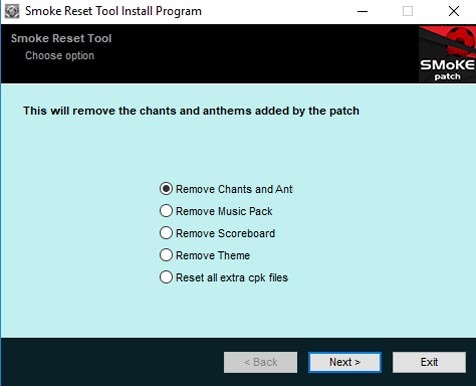 Is there a way to go back to the default PES theme?